Quickly get access to aggregated pipeline flow data. 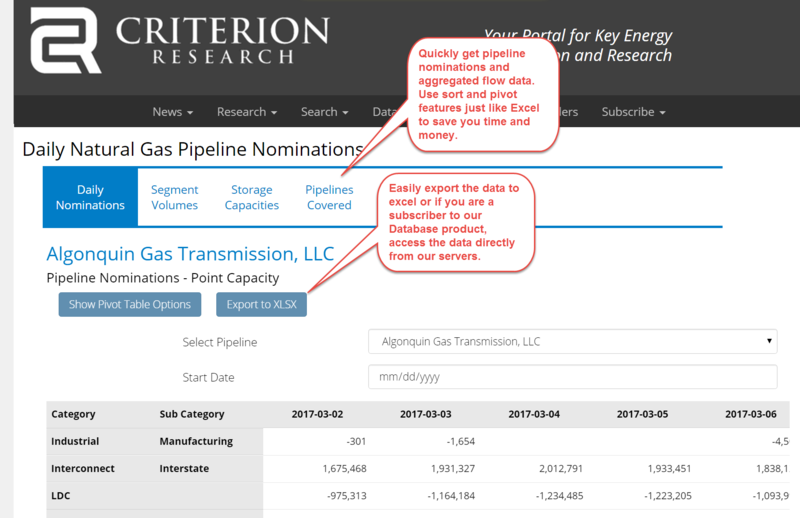 Criterion collects data for over 160 US natural gas pipelines. Subscribers can see aggregated volumes and be able to drill into the details including counterparties.